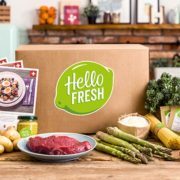 During the first quarter of 2018, local on-demand food delivery achieved mainstream status. In response to Amazon.com’s expansion of delivery on the back of its Whole Foods acquisition, WalMart announced that it would increase its delivery services to reach 40 percent of American homes in 2018. But it is Instacart, which today added 55 Fresh Thyme Farmers Markets to its service, which has leapt to the forefront of same-day food delivery. Over the next several postings, we’ll examine the state of food delivery, how the competition has played out, consolidated, and morphed into several distinct flavors of food-to-the-doorstep. Groceries, pre-packaged foods for preparation, and prepared foods have each spawned intense experimentation to conveniently reach, by our estimate, more than 65 percent of the U.S. population. Compared to only two years ago, when I assessed the availability of on-demand services in the U.S. for BIAKelsey, at a time when only densely urban areas were served, the accessibility of grocery delivery and other on-demand services has increased by twelve-fold from 5.1 percent of Americans. In 2016, the U.S. American Time Use Survey found that 44.6 percent of Americans (40.3 percent of men and 48.6 percent of women) spent part of each weekday purchasing goods and services, and about 10 percent more time during weekends. The average time a week spend shopping by women that year was 6.35 hours and 4.45 hours among men. 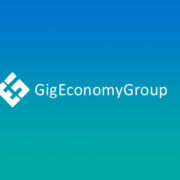 Taking the total employed adult population, approximately 126.4 million people as a base, the time spent on shopping by people who could pay for delivery to use their time in other ways represents 2.17 billion hours of addressable service time for food delivery companies. 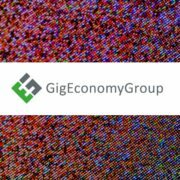 We feel this is a conservative estimate, as the partly employed (those working in the gig economy) and retired may be able to trade reasonable delivery fees for additional free time. Fresh Thyme Farmers Market added Instacart delivery this week. Although Amazon and WalMart are poised to make significant expansions into grocery delivery, both have struggled with logistics and coordination. WalMart has activated its employees to make deliveries on their way home from work and recently partnered with Uber, while Amazon’s Fresh delivery service has taken strides forward and reversed course several times in the last year as the Whole Foods acquisition’s implications are analyzed. Instacart has stayed a determined course, refining its home delivery and shopping experience to establish delivery services in 4,500+ U.S. cities and towns, from Alabaster, Alabama, to Waunakee, Wisconsin. Instacart raised $200 million in February 2018 to bring its funding to date on a to $874.8 million with a valuation of $4.2 billion. Having started out as a Y Combinator company in 2012, Instacart has kept a small group of top-tier VCs engaged in each round, adding Sequoia Capital, Andreessen Horowitz, and Kleiner Perkins, followed in the February round by two private equity firms. These are patient investors who poised for a huge payday when the company goes public. Instacart remains quiet on its IPO plans. Relative to other on-demand companies that continue to burn money to acquire market share, Instacart is an efficient operation because it builds on grocer partnerships that give it access to millions of customers, instead of relying solely on consumers to discover and use the service. 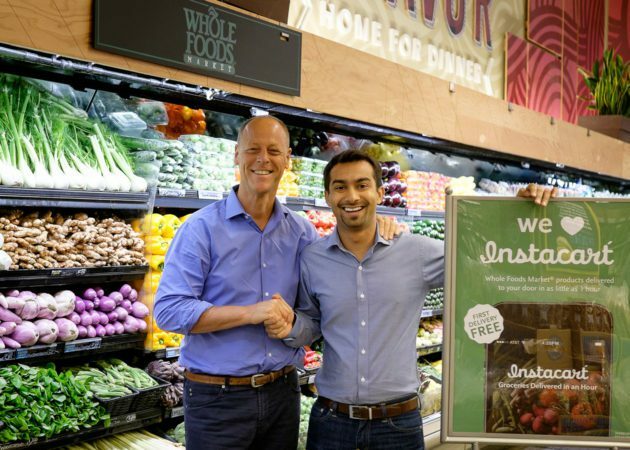 The partners launch in-store marketing for Instacart, complemented by Instacart’s online outreach. 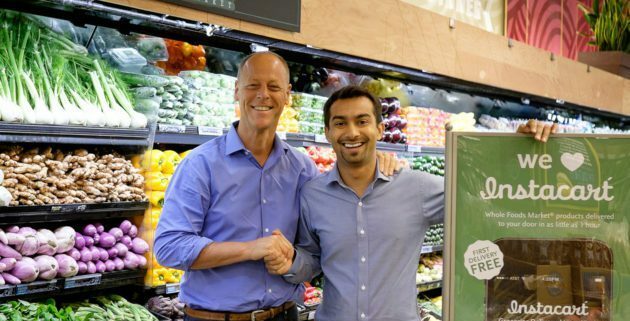 Ravi Gupta, Instacart’s CFO told CNBC on the latest funding that the company has “more money than we need” to compete effectively. The reason is simple: Instacart is the promiscuous delivery partner. Instacart has partnered with grocery chains large and small, including Safeway, Costco, Whole Foods, and many others. Amazon and Walmart, by contrast, must rely on their own chains’ traffic to get consumer delivery orders. Grocery delivery is repeating an earlier platform economy pattern, the walled garden. Amazon and WalMart are seeking to enclose their shoppers in a comfortable but closed garden of consumer delights while Instacart can burst through brand limitations to shop multiple stores, if necessary, to cater to exactly what the consumer wants. Personalization also brings us to the challenge we see for grocery delivery in particular. Instart has limited promotional capabilities and suggesting products to a shopper using their phone to repeat an order can be perceived as interruptive, using their time to say “No” to things they don’t want. Traditional marketing by grocery stores tended to rely on weekly pricing cadences supported by mailers and inserts in local papers. Effective though it was, it also produced over-stocking of some items and understocking of others, delivering waste and dissatisfaction among shoppers who couldn’t get what they wanted when visiting the store. Rain-checks for sale prices still take time at the cashier counter, and food rots in bins behind the store when it turns out shoppers didn’t want as much produce or specially priced bread as planned. Instacart’s challenge will be how to provide their shopping staff insights into suggesting products to consumers to anticipate their willingness to try a new fruit or a different, more sustainable packaging for meat, milk, or other wasteful containers. Marketers will also need to understand how to use sampling — dropping “Try Me” products into an order with a simple mechanism for adding it to future orders if the consumer likes it. Searching for a new product will not be attractive. If a customer wants a sample flatbread pizza they received as a promotion, it must be suggested the next time they pick up their phone to shop. This brings Instacart back to an element of traditional groceries which keeps people coming in to query the butcher, the produce staff, and in-store experts about how to prepare a meal or a new ingredient. 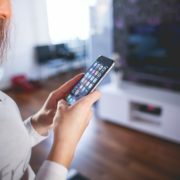 Instacart will need to enable its delivery staff with contextual information to help improve the shopper’s experience politely and successfully. The oceans of transactional data already piled up in grocery chain systems will need to be analyzed and linked to the conversation Instacart has with shoppers through its app and when the Instacarter is standing at the customer’s front door.